The nightlife culture changed dramatically in the Russian capital of Moscow with the grandiose opening of Space Moscow; a huge entertainment venue and nightclub designed to match the style of the original Space Club in Ibiza, Spain. To create a mesmerizing experience, Vitally Perepelin, Lighting Designer for Space Moscow, deployed over 70 of HARMAN’s Martin Professional lighting fixtures, fog machines and lighting consoles. 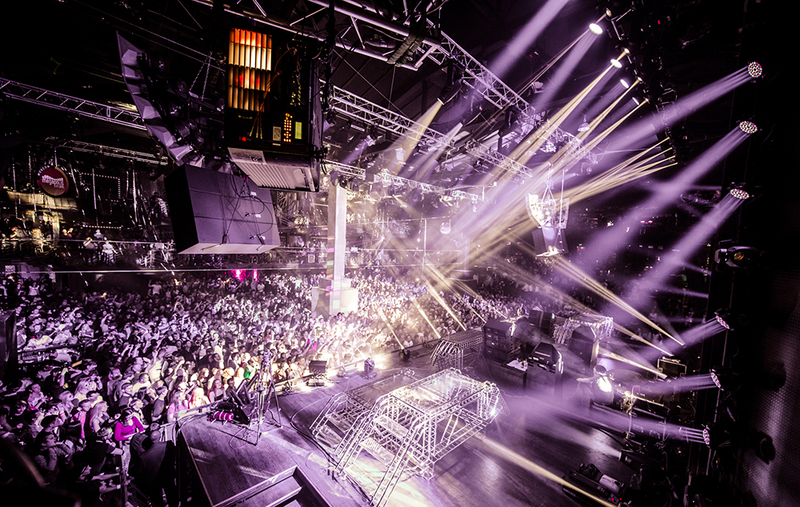 The Space Ibiza club is a long-time active user of Martin lighting solutions, so when the franchise was brought to Moscow it was natural to continue using Martin equipment. Perepelin’s design features 22 MAC Aura LED wash lights, 12 MAC Viper Profiles, 12 compact MAC 101 fixtures, 16 RUSH MH3 Beams, 12 Atomic 3000 DMX strobes, M6 controller, ZR-44 Hi-Mass fog machine and the Jem 365 Ready hazer. Space is far from just a nightclub and a big entertainment venue as it also functions as an event hall for corporate events. For this reason, it was important that the lighting installation was mobile to meet the different requirements of various events.